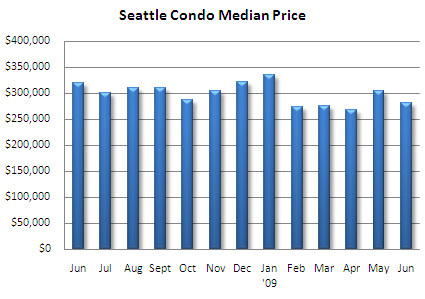 The median Seattle citywide condo price dipped last month to $280,000, which reflected a year-over-year and one-month drop of 12.5% and 7.9%, respectively. 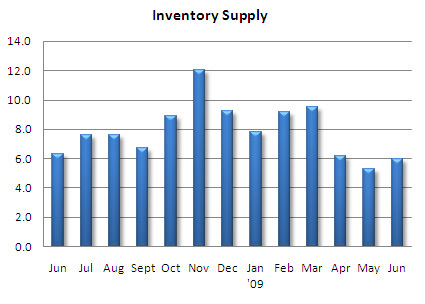 The number of active listings remained unchanged with 1,377 units available. Compared to last June, there were 12.6% fewer units on the market which helped to stabilize the absorption rate at 6 months of supply. As a result of the number of transactions going under contract last month, June saw a sharp increase in closed condo sales at 190 units, which incidentally was the highest number of closings going back to last September. On the other hand, the number of pending transactions fell 11.5% from May, which will translate to fewer closings next month. With few exceptions, most Seattle neighborhoods reflected year-over-year declines in median price, pending transactions and closed sales compared to last June. Poor closing rates at newer condo projects have kept the downtown market struggling. 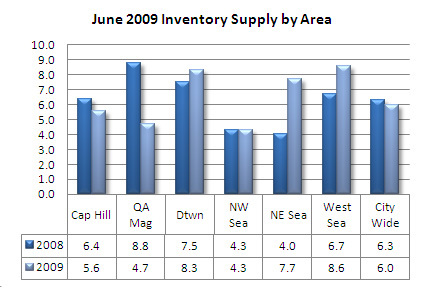 Source: Information and statistics compiled and reported by the NWMLS. 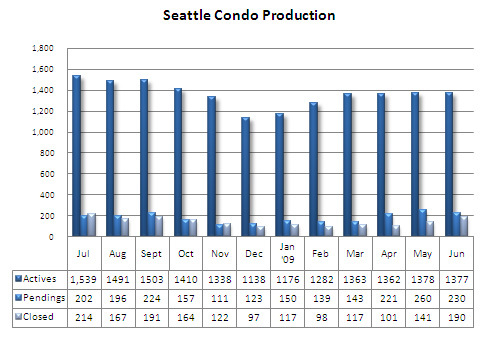 It seems the Seattle housing market for residential single family homes is doing some what better than the condo market. 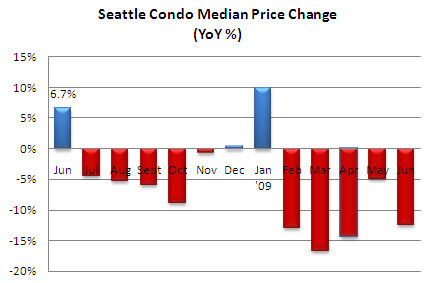 Although it seems th condo market is trying to inprove.